NVIDIA’s GeForce RTX lineup completed with the GeForce RTX 2060 and NVIDIA is now moving to offer more affordable graphics cards under their GeForce GTX family. 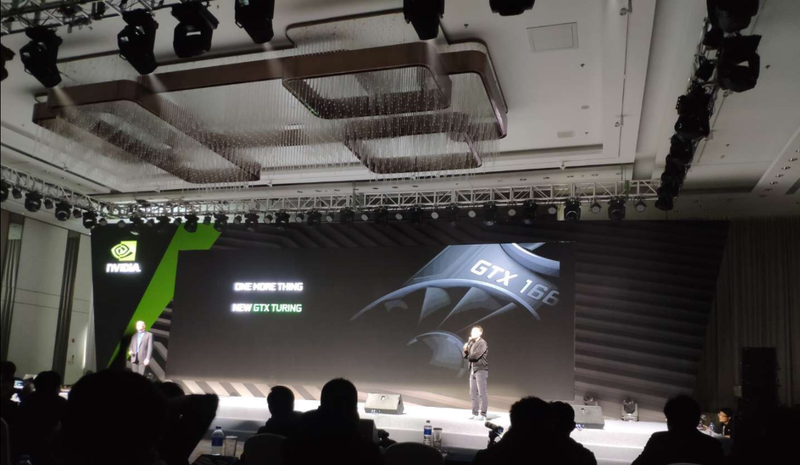 Featuring the same Turing GPU architecture, the new GeForce GTX graphics cards will exclude ray tracing, but feature faster shading performance through the enhanced GPU design while utilizing the 12nm process node. 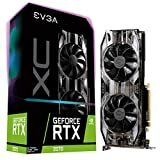 Update (11/02/2019): While you are reading this, Videocardz has posted more images of a few more custom models coming in from EVGA and Palit. The specific model is the EVGA GeForce GTX 1660 Ti XC (Black) and the Palit GeForce GTX 1660 Ti StormX. The EVGA cards come in a triple slot design with a seriously beefy heatsink and single fan cooler while the Palit variant comes in a dual-slot single fan design. The cards are said to launch officially on 22nd of February around the price points I previously mentioned below. The custom models are likely to cost a bit extra while giving you higher factory overclocks. The latest leaks come from Videocardz who have not only managed to track some online listings but also got pictures of the first packaging of a custom design from an APAC AIB (Add-in-board) partner. 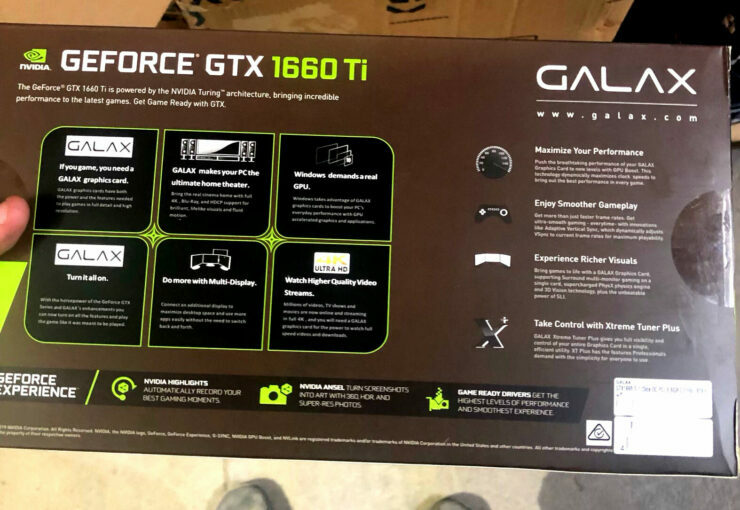 The card in question is the GALAX GeForce GTX 1660 Ti which is a custom model offering dual fan cooler and OC capabilities. The card features 6 GB GDDR6 VRAM, DirectX 12 support, ANSEL support and also has “Turing Shaders” which pretty much confirms that these cards will utilize the existing Turing GPU architecture. 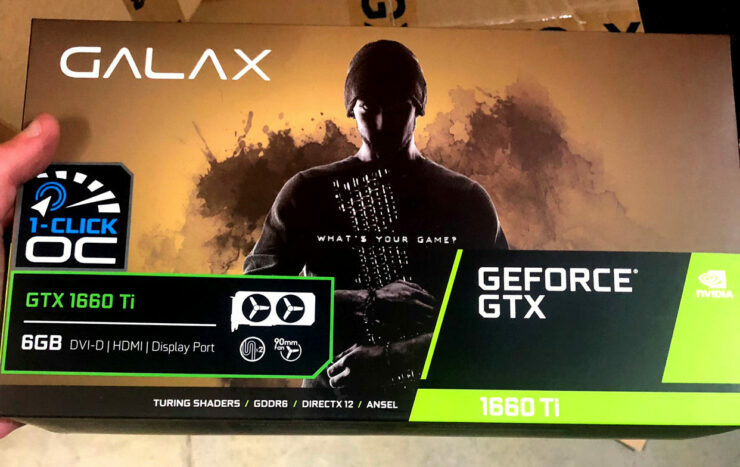 What’s interesting here is that the packaging doesn’t mention ray tracing at all which was a high-light on GeForce RTX series packaging. This also confirms the second detail we knew about these cards that they won’t feature ray tracing cores or won’t have the necessary power to run games with ray tracing enabled. Other specs include the display configuration which comes with DVI-D, HDMI, and DisplayPort. You can note the lack of the USB Type-C (Virtual Link) connector but that was also not offered on many custom RTX 2070 and RTX 2060 cards. There isn’t much to see on the back side of the box but at least this leak confirms that we will get custom models ready for launch. In other news, we also got to see retailer listings online a few days ago with custom models from various AIBs being listed on retailer websites. Previously known specifications such as the base clock of 1500 MHz, boost clock of 1770 MHz and a memory frequency of 12.0 Gbps are confirmed. 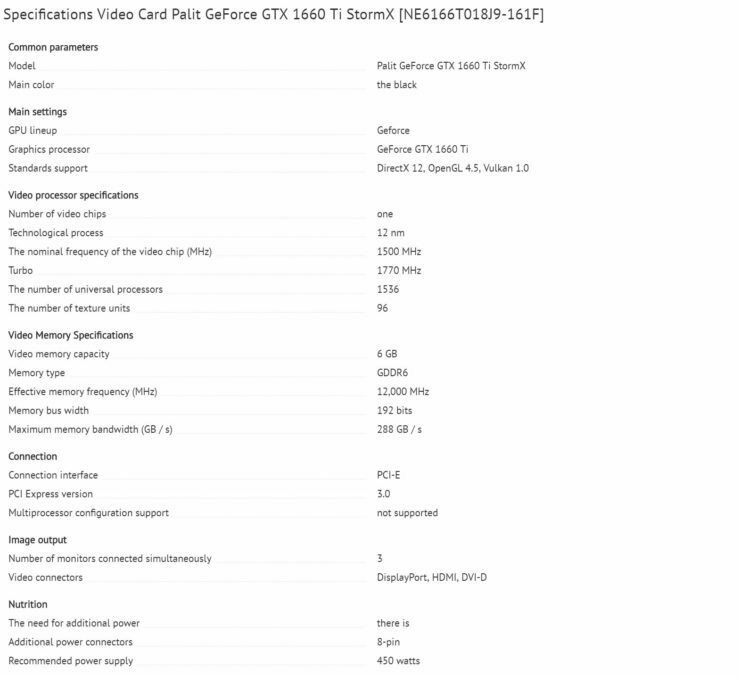 The listing also confirms 1536 CUDA cores, 96 TMUs, and a single 8 pin power connector to boot up the card. 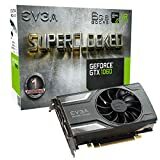 1365 MHz 1500 MHz 1530 MHz 1486 MHz? 3 MB 1.5 MB 1.5 MB ? 10.8 billion 6.6 billion 6.6 billion ? 445 mm² 284m2 284m2 ? Now what’s interesting here is that the reason NVIDIA simply didn’t want core parity with the RTX 2060 would’ve been that the GTX 1660 Ti would have cannibalized the RTX brethren’s sales. If NVIDIA had gone for 1920 Cores with the only feature lacking over the RTX 2060 being the ray tracing cores, the GTX 1660 Ti would’ve been a much better option for mainstream users, given it would’ve cost less and delivered just about the same performance. And with RTX still not being implemented in many titles, consumers would’ve ended up buying more GTX 1660 Ti cards over the RTX 2060. 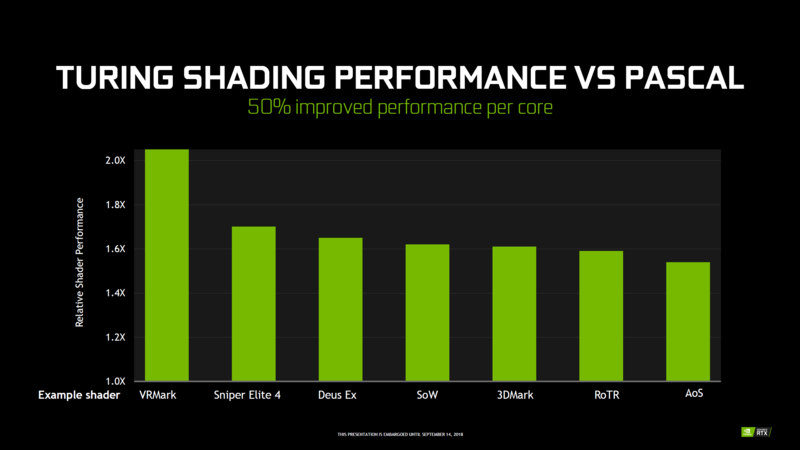 Talking specifically about shading performance which will be the main technology and architecture feature of the GeForce GTX cards, it looks like we are looking at an average 50% improved shading performance per core compared to Pascal. This is not the overall performance increase but rather the rate at which Turing improves upon its predecessor in shader performance. Some leaks earlier showed a 20-30% increase in performance over the GTX 1060, but we will have to wait for more info to see the final performance results. 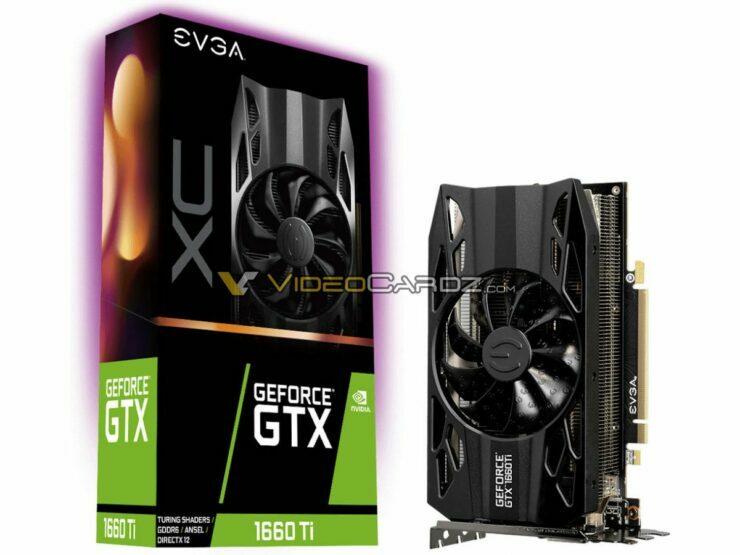 The word from Chinese sources is that the GeForce GTX 1660 Ti, the fastest of the two TU116 variants, will be launching in February for a price around 2399 RMB which is roughly around $350 US. The GeForce GTX 1660 will be available a month later in March and would fall around $250 – $300 US. 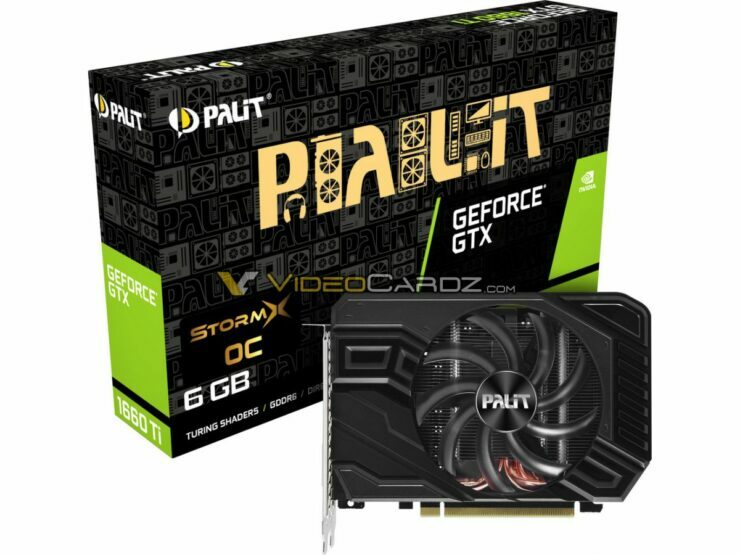 Do you think NVIDIA's GeForce GTX Turing cards could become more popular than GeForce RTX cards in mainstream market?